Why Do You Need a Rancho Cucamonga Emergency Dentist? Home/Why Do You Need a Rancho Cucamonga Emergency Dentist? Everyone needs a dentist. If you want to maintain the health and beauty of your smile, you will see to it that you have a dentist that will oversee things. You need a Rancho Cucamonga dentist because he is the only one who can do something about it—he has the theoretical and practical knowledge to care for your smile, so maintaining a good relationship with a dentist is pertinent. 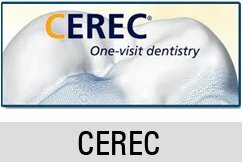 You need a Rancho Cucamonga dentist who can provide you with the right preventive, corrective and therapeutic service; you need a dentist who will educate you properly about how you can take good care of your teeth at home; and you need a dentist who can support you during a dental emergency. Accidents can happen all the time. All kinds of emergencies can happen and there are times that your need will be dental in nature and you will need to see a Rancho Cucamonga emergency dentist. When the problem is aesthetic and there is no way that you can survive the next day without a perfect smile, a Rancho Cucamonga emergency dentist can help you. His solution may be fairly temporary in nature, but it will give you the chance to go on with your day normally, while you wait for your actual treatment. If you meet an accident, a tooth or bone fracture being the most common, there should be a dentist who can attend to your emergency. A dentist will know what needs to be done so that you will not go into further trouble, pain and discomfort. Fractures in the teeth and bone can progress into something more severe. It is essential that it receives proper address, not only for the purpose of pain relief but also for the promotion of good health. If you have a dental infection that is actively spreading, it could bring your excruciating pain and discomfort. Infection can progress differently and they have to be remedied right away. An on-call dentist will someone you can rely on to always be there It is always very comforting to know that you have a Rancho Cucamonga emergency dentist that you can turn to when things go wrong. Not all dentists are emergency dentists—is your trusted doctor one? Whatever emergency you may have, a trustworthy dentist will be ready, 24/7 to provide you with the necessary support.